Savage and Son, Inc. is Nevada’s oldest and strongest full-service plumbing, HVAC, and piping contractor – serving both residential and commercial clients alike. We care about each of our clients, from a modest home repair to a remodel to a commercial high-rise. We have proudly served the northern Nevada and surrounding California communities since 1893. 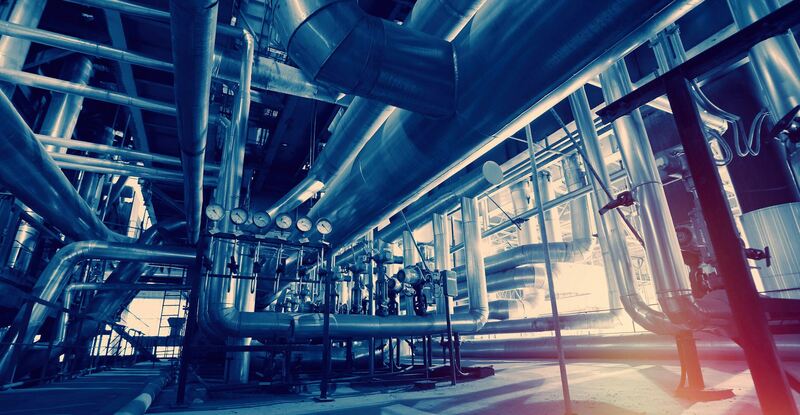 We specialize in wetside mechanical systems, commercial high-rise fabrication, boilers, chillers, high purity systems, medical gas and several other Mechanical services for industrial and commercial projects. Savage and Son has performed and succeeded on several of the most demanding and complex projects. We have generations of happy clients – be it from a quick repair at a fair price, a full remodel, or high-quality professional plumbing work. We offer our proven reliability of the past and the innovation of the future to settle for nothing but the best. We strive to provide quality workmanship, efficient scheduling, safe and professional employees and most importantly, the deserved value for all of our customers. I’m Bruce MacKay, Director of Administration at the Eldorado Hotel Casino in Reno, Nevada. Some of my duties entail overseeing Facilities and Construction Projects. As such I’ve worked with Savage and Son for over 30 years. When we use Savage and Son, we know the job, be it a plumbing repair or a major construction project, will be completed in fine order, on time and within budget. The work product is always first class with top of the line materials and craftsmanship. Several times they have researched and reached out to solve difficult repair problems keeping our 24 hour operation running. They also work well with other trades to coordinate the correct completion of projects. My favorite story to tell is a case of creative thinking which saved a tremendous amount of installation and operation cost, plus eliminated future maintenance cost and labor. A newly created mechanical room adjacent to our steam plant required cooling. The mechanical contractor on the renovation project proposed installing a condensing unit outdoors, refrigerant lines, and an evaporator in the space – Cost: $10,000.00.A representative of Savage & Son saw the existing system for providing combustion air to the steam boilers and simply tapped into that duct system, had a penetration made into the mechanical room and achieved the needed cooling with no moving parts. Cost: $5,000.00. An added benefit is the combustion air is pre-heated by passing through the mechanical room, thus making the boilers more energy efficient. On almost any construction project there are unknowns, especially on a re-model project. Any hiccup that occurred in our many renovation collaborations with Savage & Son were handled with competence and confidence – never any “finger-pointing” – Savage simply made the corrections at no additional cost to the owners. We just wanted to write to compliment you on your technician, Mike, who has been to our house twice. He is very nice, very knowledgable and quickly solves our problem. We very rarely write such letters, but he is really outstanding! Thank you so much for your generosity in helping us to remodel a bathroom for one of our clients. It was a project we felt compelled to get done quickly and properly and we could not have accomplished it without your help. It is rewarding to know that despite these challenging times, there are still people who are willing to donate their time and resources to help someone in need. I just had a new water and sewer line installed by Savage and Son, Inc. and I wanted to tell you how satisfied I am with the job your employees and sub-contractor did. From the first call to the office, to the job completion the experience has been wonderful and you can rest assured I will tell all my friends about Savage and Son. Your estimator was courteous, knowledgeable and professional as well as the two plumbers, Mel who videoed the sewer and Zac who put in the water and sewer lines. Your subcontractor for excavation was equally impressive. I must tell you that I had visions of my recently landscaped yard being a disaster after being dug up; however, I can tell you that my yard looks as good today as it did before the work was done. I again thank Savage and Son for a job well done and I would appreciate it if you would let each one of these fine employees and subcontractor know my appreciation. As a Custom home builder for 30 years I have recommended the Savage and Son Showroom to clients for choosing their plumbing fixtures. The staff is very knowledgeable and there is a wide selection of products and brands to choose from. Without exception my clients have been very satisfied with their decision to purchase from Savage and Son. The project to replace the entire Goldstrike Roaster Propane Distribution system underground was completed 10/4/2012. The roaster is now running on the new system without issue. The successful completion of the project is in large part due to the exceptional efforts of Savage and Son, Inc, a Mechanical Contractor out of Reno, NV. Savage and Son, Inc. was the lead contractor on the job. This large rebuild of our propane system was the first opportunity for Savage and Son to work at the mine site. I found them to be extremely easy to work with. The original scope of the project was modified several times in the field requiring rapid adjustments to the plan and the overall schedule. In all cases, these adjustments moved forward without issue. The project was completed under budget, ahead of schedule, and most importantly, without any accidents, incidents or injuries. 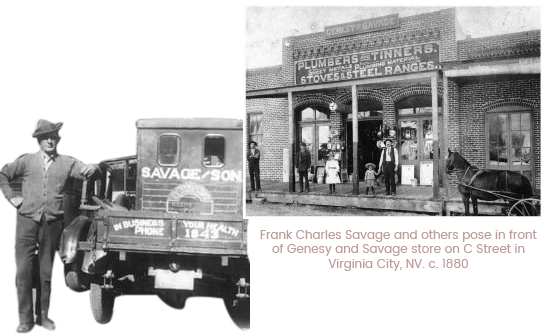 Savage and Son is Nevada’s oldest contracting company – operating in our community since 1893. For 6 generations, the Savage family has owned and operated the company, and grown it to become the premier northern Nevada plumbing, HVAC and piping establishment.